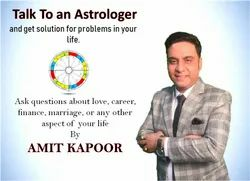 In depth Kundli Match Making Consultation at The Astro Times TAT India by Astrologer Hitesh Sharma. This is phone consultation for new or existing clients, in this phone consultation. Get in depth report of what the specific month stored in for you. Complete analysis of compatibility between a boy & a girl for marriage purpose. We require date of birth, time of birth & place of birth of both boy & the girl. 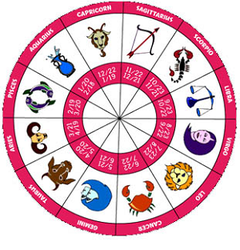 Horoscope Matching Report is not just an ordinary report but one of the most important one. It helps you at the most crucial time of your life where even a slightest ignorance of it could land you in a life of sorrows & tensions which could affect your career, health, future growth & general well being. We also offer our services for Making new Kundlis. For this purpose, we carry out a detailed consultation with our clients to know the minutest detail of their lives. Our approach is almost like a medical practitioner's. Armed with all the details, we make a foolproof kundli that offers the client best deals in life.